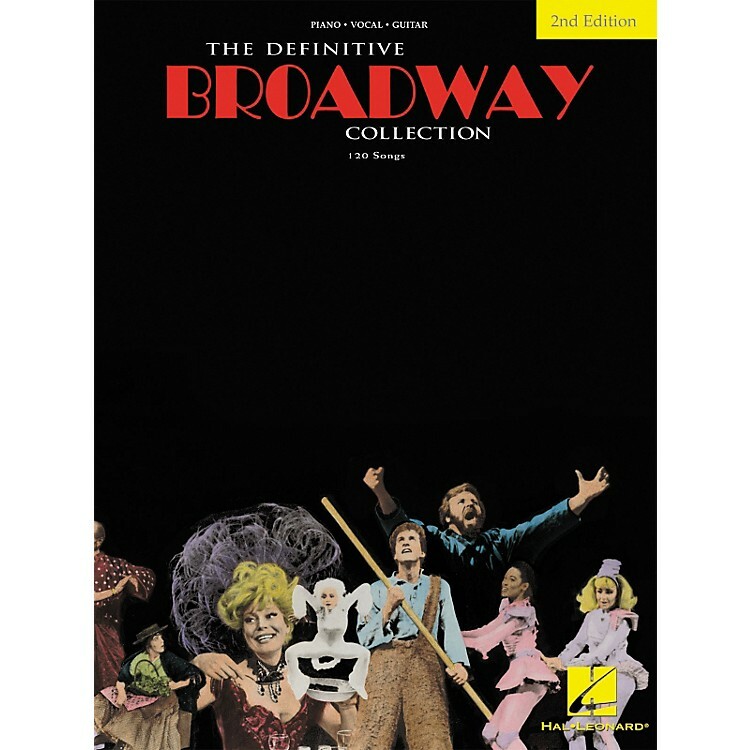 The Definitive Broadway Collection - Second Edition is a piano, vocal and guitar songbook featuring 120 Broadway classics, revised to include songs from the latest blockbusters such as "Wicked", "The Producers", "Mamma Mia", and many more. Songs including: All I Ask of You • And All That Jazz • Another Op'nin', Another Show • Camelot • Close Every Door • Consider Yourself • Dancing Queen • Day by Day • Don't Cry for Me Argentina • Edelweiss • Hello, Dolly! • I Could Have Danced All Night • I Wanna Be a Producer • Kids! • Let Me Entertain You • Memory • My Funny Valentine • On My Own • People • Popular • Seasons of Love • Seventy Six Trombones • They Live in You • Tomorrow • Try to Remember • What I Did for Love • and more.